In monthly marriage horoscope, we always try to give the marriage prediction of the upcoming month or this month so please consider this monthly marriage horoscope estimated time of marriage only. If you want accurate marriage prediction you can take paid Kundali reading for marriage thanks. Marriage is the event that completely changes lives of two people and ties them in a lifetime bond of love and affection. This is a very crucial decision that should be taken only after considering all the relevant points. The significance of planets and their positions could not be ignored while deciding on marriage. The planets are about to bring significant changes in the life of people in the next month. Those who want to know will I get married next month should consider the marriage horoscope to get the answer. This will help them know how are the planets next month for marriage. 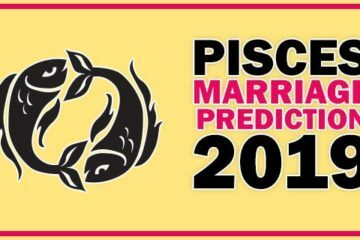 The horoscope marriage for different zodiac signs is here to help them find an answer to the question as to when will I get married at what age. Out of 12 Zodiac Signs I am going to share marriage forecast for each sign. In this post, you will have a clear idea about your marriage planning. Those who have already engaged & trying to find a suitable date of marriage can easily get the idea what is next in this month in terms of relationship. Aries marriage horoscope for the month of June is good if you are in love. Aries people keep in your mind that as far as love marriage is concerned, the month of June is not favorable for you, because as per the present planet situation, Mars is sitting in the tenth house and looking at the fifth place with its eighth aspect. This condition cannot be considered good for love marriage. Yes, if you are going to get arranged marriage then there is no need to worry because this month your family environment is going to be pleasant. Venus is also going to be helpful for you, so once again I tell you that it will be good if you give up the idea of getting love marriage in June. There is nothing to be worried for those who have planned to get arranged marriage. They may start their marital life in the month of June. May Lord Ganesha bless you? The Taurus marriage horoscope of this month June is good. There is no doubt that Taurus people are going to be fortunate in the month of June on the marriage front. Because the lord of the seventh house in the Taurus Horoscope is Mars, at present Mars is in the exalted position in Capricorn along with Ketu. This is a very good planetary position, Taurus people who are trying for love marriage may definitely get success. Our best wishes are with Taurus. No doubt this month of June is going to be perfect for you. Keep your trust in God, your love marriage is possible in this month. As far as to arrange Marriage is concerned you may expect difficulties but i recommend do not leave your efforts, you will definitely get success. Here is Gemini marriage horoscope of this month. Those who belong to Gemini sign should be happy, because according to the present planetary situation, Venus is in the seventh house in the horoscope of Gemini sign. This Venus is under the aspect of Jupiter also. My advice is that if you are going to get married this month, then go ahead without any hesitation because there are no hindrances in the path of your love marriage. With the help of favorable planetary position, You will easily win over your enemies. But don’t forget your family atmosphere is not good, so I advise you get married with the family’s consent, it will be very good, this month is expected to get success. The monthly marriage horoscope for Cancer is here. The people of Cancer, for your kind information the planet Mars along with Ketu sat in the seventh house of your horoscope in the exalted position. This Mars is very powerful. Marriage is considered from the seventh house so there is no doubt that the planets are favorable for you. The time is good for those who want to get love marriage, but at the same time those are interested in arranged marriage will have to wait and my advice is, if possible, get married with the consent of your family members. The Leo marriage horoscope of this month June is positive. The people of the Leo zodiac sign note that at present planet Jupiter is in the third house of your horoscope. This situation cannot be considered good, but one important thing is that this Jupiter is looking at the seventh house with its fifth aspect. This situation, Jupiter’s aspect on the seventh house has created the marriage atmosphere in your home. At the same time, the presence of Venus in the eleventh house in the horoscope has also ensured that there will be no interruption in marriage. It is very good time for Marriage and if you interested in Love Marriage then my advice is to wait till the change in the planetary situation. Again this is the right time for you if you are going to make the arranged marriage. Virgo Monthly marriage horoscope of this month says if your love affair is going on and also trying for marriage, then I will say that you are going to be fortunate in this month because as per the planetary position there are chances of getting success in the love marriage in this month. The planet Mars is sitting in the fifth house of your horoscope along with Ketu. This is a win-win situation and you should not miss this, because the situation will change completely when the Mars will retrograde and no doubt you will lose the golden chance. Once again, I am telling you that this month is very good for love marriage. Libra Marriage horoscope for this month June 2018 is right here. According to the planetary position, Jupiter is sat in the first house of the horoscope of the Libra zodiac sign no doubt Jupiter’s blessings are with you. But at the same time, the sight of Mars is on the seventh house, seventh house is occupied by Aries sign. As you know the lord of Aries is Mars hence the possibility of dispute cannot be denied. If you want to get married in the month of June, I suggest you to try to get the consent and cooperation of your family; don’t take any decision against the family’s consent. Overall June is the great month for you. I am sharing the Scorpio Marriage horoscope 2018 for this month June. Scorpio people if you are planning to get married in this month of June, then note that the planet Sun and Mercury will remain in the seventh house of the horoscope of the Scorpio zodiac sign till the middle of June month. Sun and Mercury‘s presence in the seventh house of the horoscope is not good for the marriage point of view. But after 15 June time is good for you. In view of present planetary situation, I believe the month of June is not good for you to get married. Therefore, do not take any marriage decision in haste; it would be better to postpone marriage decisions for some time. Here is Sagittarius marriage horoscope for the month of June 2018. Sagittarius people, you should be happy, because there is good news for you, as far as marriage is concerned the month of June will be good for you. If marriage related discussion is going on, note that your marriage is expected to be confirmed. Mercury and Venus zodiac sign exchange indicating that the obstacle in the path of marriage is going to vanish. No doubt the month of June is good for you, but keep in your mind that in the middle of this month, the sun will come in the seventh house of your horoscope ie marriage place, so whatever marriage decision is pending, take them before the 15th of June. 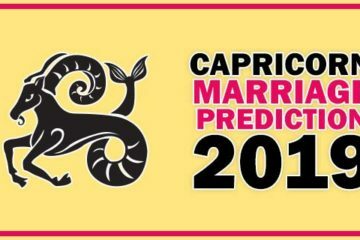 Let’s know what stars say this month about Capricorn marriage horoscope and relationship For the people of Capricorn, nothing is favorable in the month of June. For those who are waiting for a marriage, there is no hope for the good news, but in the middle of June, the sun and Venus will step in the next zodiac sign and will create favorable conditions on the marriage front. You can expect good news about marriage after the 15th June. Nevertheless, due to the full aspect of the Mars on the seventh house, there is little hope of marriage, but I would like to advise you to not give up the hope and talk related to marriage should go on. Here is the Aquarius marriage horoscope for June month. 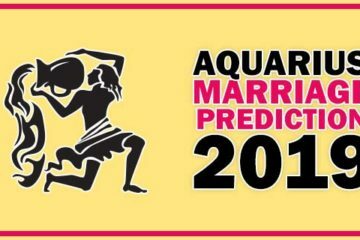 People of Aquarius who are eagerly waiting for the wedding or are awaiting news from the bride or groom side, for them, there is less hope for a good news in the month of June. Because the planetary position is not favorable in the month. As far as love relations are concerned you may expect something positive, you may move the conversation forward. According to the present planetary position, planets are not favorable for the people of Pisces. The waiting period may stretch longer for the People who are eagerly waiting for the wedding. But I believe there is nothing bad in pursuing marriage-related dialogue. Overall the month of June is good for you. Will you get married in June 2018? It depends on the horoscope of the person and depending on the planets of the horoscope of marriage; those who belong to Aries, Aquarius and Libra zodiac sign can expect good results for marriage. Aries being the luckiest one and others might need to wait. In case you want your dedicated personalized marriage horoscope just use the form below to get free marriage prediction on your email.